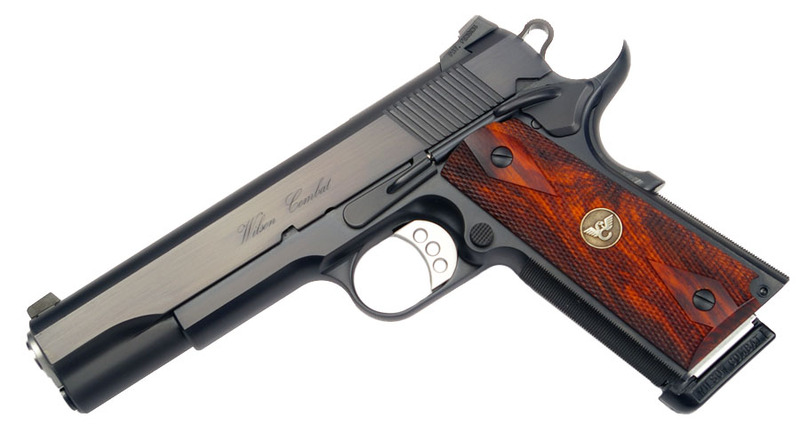 Exclusively available from Top Gun Supply, the .45ACP CQB Legacy captures the nostalgia of years past with highly polished flats, no front cocking serrations and rich, dark bluing. Comes with beautiful double diamond Cocobolo wood grips, single side thumb safety. The front and rear straps are checkered and the rear of the slide is serrated along with the rear sight. Yellow rear and green front night sights are included.